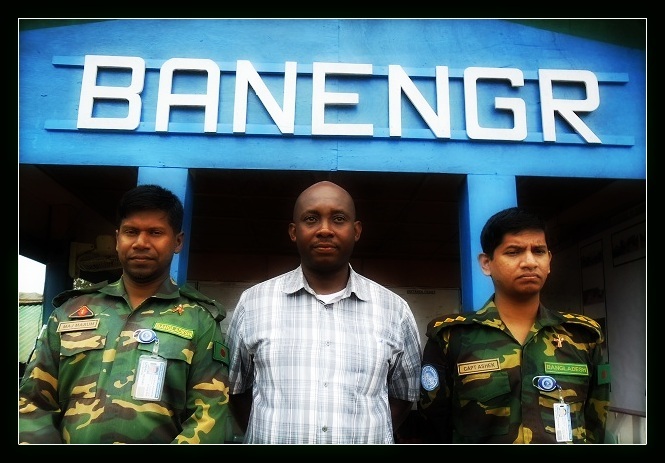 My assignment involved building capacities and empowering peacekeepers with skills to avoid exposure to HIV. This role took me the length and breadth of Liberia engaging peacekeepers and sometimes communities in HIV/AIDS awareness training programmes. Conducting and leading these trainings was fulfilling to me, particularly when I interacted with participants on questions and answers. I realized that, more often than not, there was a misconception or myth about HIV/AIDS that was dispelled. This gave me a sense of relevance  a sense that I contributed to building the capacity of people in keeping them safe, and provided them with the skills to prevent and protect themselves from getting infected. Monrovia, Liberia: Living through the Ebola epidemic in Liberia, I observed first-hand what was achieved by the global community. By complementing local efforts, it controlled and contained what could have otherwise become another viral infectious disease of global epidemic proportions. The key actions that contributed to the successful control of the Ebola epidemic in West Africa were essentially the prompt actions taken by the UN to marshal resources and other stakeholders to control the spread of the virus. Another poignant point that William Jefferson Clinton made in the same article, which resonates with my experience in the field of HIV/AIDS is the gains in halting and reversing the AIDS in Africa are a testament to the increased capacity of Africa. The term capacity or capacity building also means knowledge building (training and facilitation), and it is within that context that I carried out my role as HIV/AIDS Training/Monitoring and Evaluation Officer with the United Nations Mission in Liberia (UNMIL) HIV/AIDS Unit. Another interesting experience was the challenge of presenting the facts of HIV/AIDS with the aid of graphic/audio visual slides to audiences from different cultural backgrounds. I noticed that groups or troops from conservative societies tend to be uneasy with some of the audio-visual aids used in the HIV/AIDS awareness training programmes. This challenge was addressed by making slight modifications to teaching aids in order to suit groups from conservative societies without compromising the facts. From July 2009 to July 2014, a total of 20,728 peacekeepers participated in UNMIL HIV/AIDS awareness training and induction sessions, and a total of 30,839 peacekeepers underwent HIV screenings to know their status. This is part of the story of UNMIL HIV/AIDS Units contribution to the bigger African story of building the capacity of peacekeepers and the Liberian public at large. A story in which I had the privilege of playing a little role by volunteering my skills in HIV/AIDS awareness training, which in turn has contributed to making a global difference.